I am always on the search for something different for dinner to add to my weekly meal plans. After a few weeks, I begin to feel as if we eat the same things all the time. I ran across an idea for vegetable and rice bowls, and decided to put my own spin on this quick and easy weeknight dinner. Toss the vegetables with some olive oil, salt and pepper. Spread them out on a pan and roast them in 425 degree oven for about 20 minutes. Toss once during roasting. Meanwhile, marinate the shrimp in your favorite marinade. We like Soyaki from Trader Joe's. If you're using leftover rice (or other grain), simply heat it up. Otherwise follow the directions for your favorite brown or white rice. Get a bowl and add a few spoonfuls of rice. 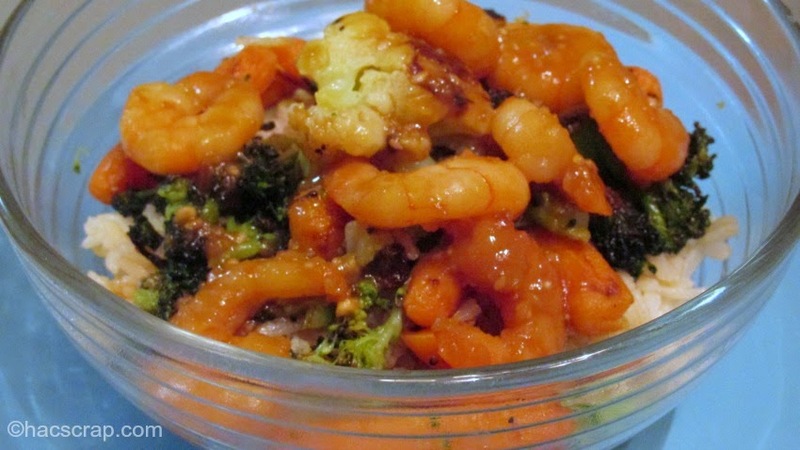 Spoon vegetables over the rice and add your shrimp to the top. You can use any vegetables you want, leftovers would work out great. 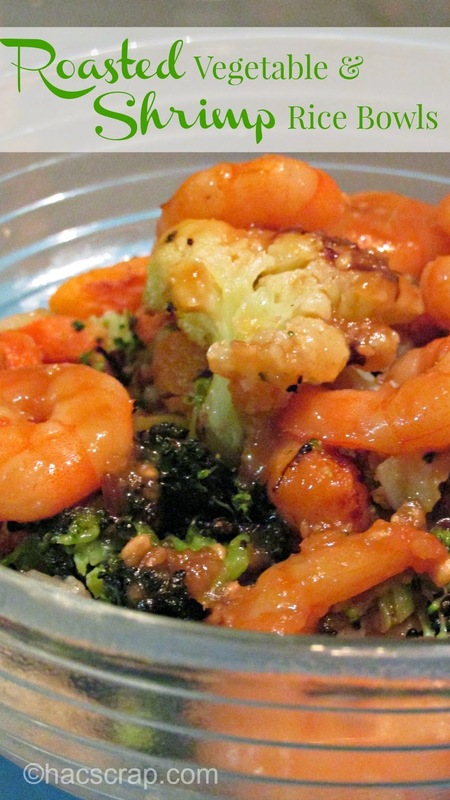 You can also make this vegetarian by skipping the shrimp. You can use other grains besides rice, such as couscous or farro. Adapt the idea to make this meal one of your own.